As healthcare becomes increasingly value-based and patient-centric, healthcare providers have given increased priority to improving patient experience. Patient experience is often used interchangeably with patient satisfaction, but it is important to note the distinction. Where patient satisfaction is a subjective measurement, determining whether or not a patient’s expectations of their care were met, patient experience covers a wide range of interactions between a patient and a healthcare provider. Measuring patient experience, along with other metrics such as effectiveness and safety of care, can provide your organization with a better sense of the overall quality of care it provides. I would also argue that implementing patient-centric initiatives that promote positive experiences can work as a catalyst that positively affect other aspects of care, such as adherence to care plans, improved outcomes and patient safety practices, and lower healthcare utilization. In this post, I will discuss three tips to help improve the patient experience and, ultimately, patient safety. Low health literacy rates are not surprising, considering healthcare is loaded with complex information, jargon, and acronyms. When patients lack the capacity to obtain, process, and understand information about their health, the potential for poor outcomes and hospitalizations increase significantly. It is critical that organizations develop processes to help their staff communicate with patients in a way that is comforting and makes information easier to understand as many patients are often overwhelmed or too intimidated to ask questions following a health encounter. Plain Language: This is language that can be understood the first time a patient reads or hears it. Plain language stresses prioritizing and limiting information to two or three points at a time. It is important to note that what is considered plain to one patient may not necessarily be plain for another. Providers must be cognizant of patients' varying backgrounds and adjust their communication methods and techniques accordingly. Ask – Educate – Ask: Instead of telling the patient what you think they should know, this method helps empower the patient to learn about specific aspects of their care that concern or interest them. This method helps facilitate a discussion around the patient’s care and can make them feel like a more activate participant in their care. Information technology has become an integral part of healthcare. 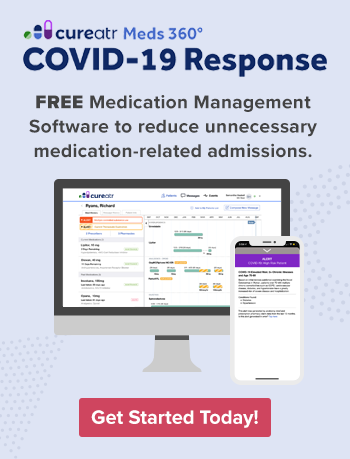 When used properly, it can improve communication and coordination between providers, reduce medication errors, facilitate more informed care, and promote patient-centered care. Technology can help contribute to patient-centered care in many ways, including increasing communication touch-points between providers and patients and by increasing access to health information. However, patient adoption of technology can often be met with resistance. One way to increase adoption is by reinforcing and encouraging use of your organization's patient portal. When there are consistent touch points promoting its use, patients are more likely to adopt it. Touch-points should demonstrate and discuss benefits of using the technology, such as reducing the time spent at registration, giving physicians confidence that they have a complete picture of their patients' medical situations before providing care, and providing patients with more insight and control of their own health. Build these touch-points into your organization’s workflow. This can include providing literature at reception, showing a video in the patient waiting area, and developing talking points for nurses and physicians. The best way to assess whether you are providing a safe and positive experience for patients is by asking them. 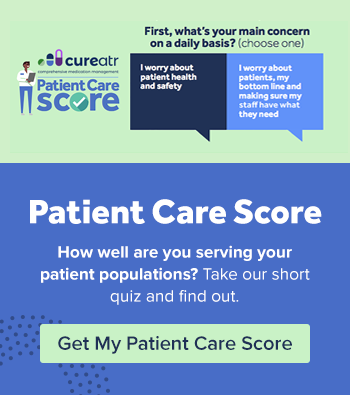 The Hospital Consumer Assessment of Healthcare Providers and Systems (HCAHPS), developed by the Centers for Medicare & Medicaid Services in partnership with AHRQ, is a standardized survey that records patient satisfaction and has become a standard for measuring patient experience in the hospital setting. The instrument can prove tremendously valuable as it provides a baseline on critical aspects of patient experience, such as communication with doctors and nurses, pain management, cleanliness and quietness of the hospital, communication about medication, and quality and thoroughness of discharge information. Unfortunately, HCAHPS may not be an accurate or sufficient measurement of patient experience for the following reason: HCAHPS is tied to value-based incentive payments. This can cause organizations to focus on improving HCAHPS scores by implementing initiatives to improve specific metrics recorded in the survey rather than improving the overall patient experience. To gain a better idea of what part(s) of the experience is most important to patients, I will restate my advice from the beginning of this section: ASK THEM! Instead of relying solely on HCAHPS, ask patients open-ended questions about their experience. An interview-based approach to collecting patient feedback not only helps make patients feel that their input is valued, but can also provide insight into improvement opportunities that are not necessarily addressed in standard patient satisfaction surveys like HCAHPS.